It’s only been two months since Khalid Dyer graduated from Patterson High School, but you would never believe this after looking at his resumé. At just 19 years old, Khalid has already completed two internships, is enrolled to start at Hudson County Community College in the fall, and has post-graduation plans to transfer to the Fashion Institute of Technology in New York City. Before spending his summer interning in our Baltimore office, Khalid followed the path of most high school students: He had a part-time job, played on the school basketball team, and hung out with friends as much as possible. All of this changed his senior year when a few members of Urban Alliance (UA) came to speak at his high school and kickstarted his internship journey. Urban Alliance is a D.C.-based nonprofit that provides high school students with paid professional work experience with its partner companies. This is CannonDesign’s first year as a corporate partner of UA, and we are thankful to Briana Jones for facilitating this arrangement and laying the groundwork for increased involvement in the coming years. 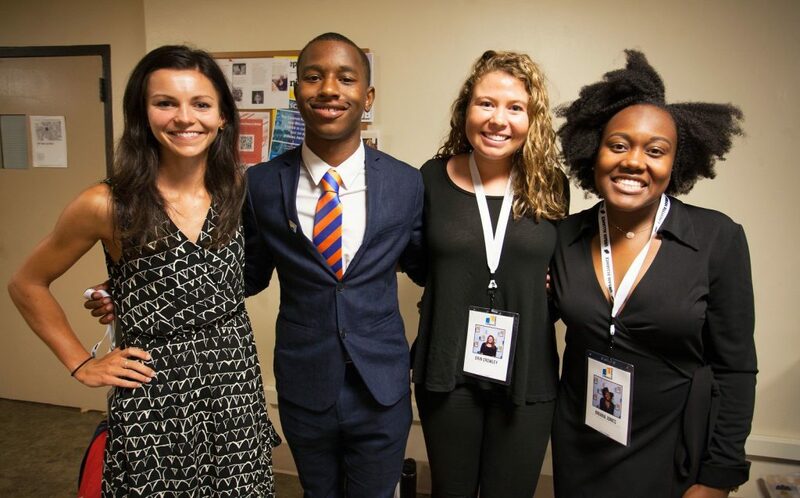 Briana served as Khalid’s immediate mentor throughout his internship, alongside Erin Crowley and Ashley Roe; together they created an internship program that Khalid described as not only informative but necessary. After meeting the team at Urban Alliance, Khalid applied to the program and completed a six-week business skills workshop to prepare for his internship. He was mutually matched with CannonDesign based on his interest in design (he plans on majoring in graphic arts for his first degree and fashion design for his second) and started at the office in July. Throughout his internship, he learned the ins and outs of Revit and SketchUp while making meaningful contributions to multiple Baltimore-based projects. Khalid brainstormed the potential needs of all members of the Baltimore office in drawing up a sitemap for an office relocation planned for the near future, and sat in on many meetings for projects throughout the office. Once, while attending a shortlist interview, Khalid impressed the entire interview team with his depth of knowledge and connections to a few of the project members from a past internship. Khalid came into his internship unsure of how involved he would be in the design process and how relevant the experience would be to his career goals. At the end of the program, however, he had nothing but positive things to say about his time with the Baltimore team at his UA graduation presentation. Of the 25 members in his UA group, Khalid was one of a proud few who had remained in the program and excelled. From everyone at the firm: Congratulations, Khalid, and thank you to our Baltimore office for paving the way to what we hope becomes a longstanding tradition of Urban Alliance interns!